Through The PB+J Initiative, we connect with and offer food and support to homeless people in our Bedford-Stuyvesant community and beyond. We hand out peanut-butter-and-jelly sandwiches, snacks, and meals made with love as well as distribute personal hygiene products and other resources. The PB+J Initiative is a call-to-action through which The Katmint, our partners, and our volunteers contribute positively to the quality of life of homeless people, amplify awareness around the causes and impact of homelessness, and help to strengthen pathways to securing a home for all. 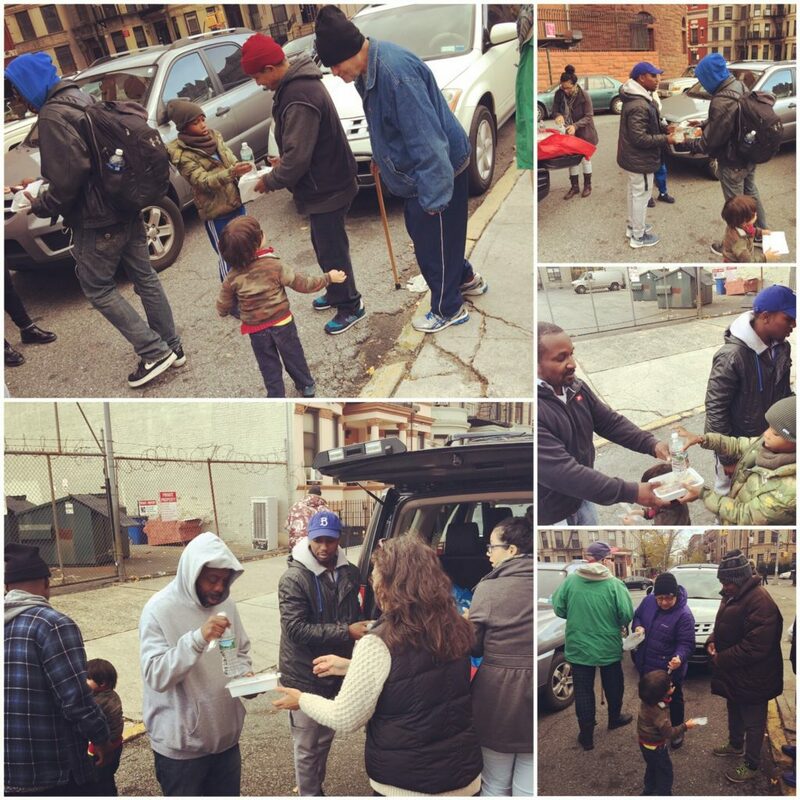 In 2015, The PB+J Initiative started as a meal program for the homeless through which Katmint students, parents, faculty and staff prepared over a thousand peanut butter-and-jelly sandwiches and other meals and handed them out to homeless individuals, person-to-person, at local shelters or in the streets of Bedford-Stuyvesant. Now, with the support of the community through donations and partnerships, The PB+J Initiative gathers and distributes food, resources, and personal care and comfort items to homeless folks in Bed-Stuy and beyond. Therefore, The PB+J Initiative has evolved into a fuller community-based initiative for advocacy and support for homeless people. The Katmint looks forward to expanding our partnerships and responding in relevant ways to the needs of homeless folks in our community. Make a donation to the The PB+J Initiative! Donate food, items, and supplies on an ongoing basis. Provide brochures and flyers about available services for homeless persons, such as food pantries, housing access, job opportunities, advocacy, and counseling opportunities. Help to source and coordinate volunteers for meal preparation and distribution. Spread the word about The PB+J Initiative. Donate money toward the sustainability of the program. Interested in becoming a partner? Have another way you’d like to contribute? Please contact us! Whether your are a master PB+J sandwich maker or you have experience connecting people-in-need to supportive resources, volunteer with us! All ages are welcome to contribute. As a school community, we are thoughtful about how young people and the adults that care for them can model empathy, generosity, activism, and authentic ways to connect with community members of various backgrounds and circumstances. Check here for updates about when we are preparing and distributing! All volunteers should arrive at 506 MacDonough Street at 8am.